Home › Prayer › Prayer Room in Toyota Museum in Nagoya! Enjoy Toyota’s Technology Without Any Worry When Pray Time Comes! Prayer Room in Toyota Museum in Nagoya! Enjoy Toyota’s Technology Without Any Worry When Pray Time Comes! Nagoya as the birthplace of three notable feudal lords ; Oda Nobunaga, Toyotomi Hideyoshi, and Tokugawa Ieyasu, is a main city in Aichi Prefecture that is rich with both traditional and modern industry, especially automobile-related industry. Besides of Toyota city located an hour ride away, there is a museum established by the Toyota Group called “Toyota Commemorative Museum of Industry and Technology” located in the center of Nagoya city. The museum is divided into two parts, those are “textile machinery pavilion”and “automobile pavilion” that is located in separate buildings, and has become a popular place to visit in Nagoya. 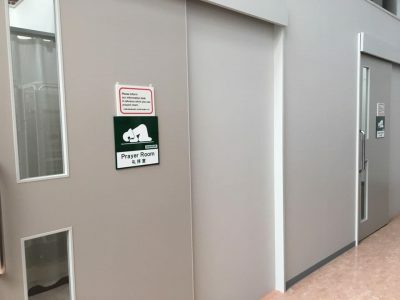 In that popular museum, there is a prayer room so you don’t need to worry when pray time comes while visiting the museum. 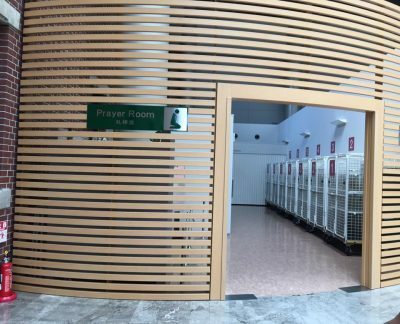 The prayer room is located near ticket checking gate, which is quite easy to find. 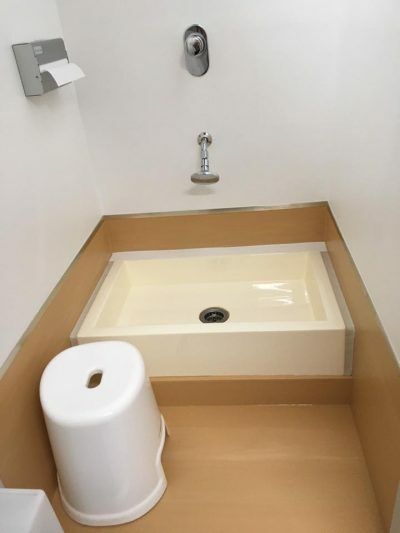 The room is clean, tidy, look new, and there is separate place for men and women to do pray! 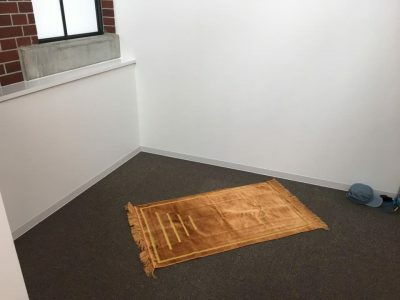 There is wudu space, prayer mat, as well as kiblat mark equipped in the room. Toyota Commemorative Museum of Industry and Technology is located at 3 min walk from Sako station on the Nagoya line. If you happen to visit Nagoya, don’t forget to put Toyota Commemorative Museum of Industry and Technology into your itinerary.